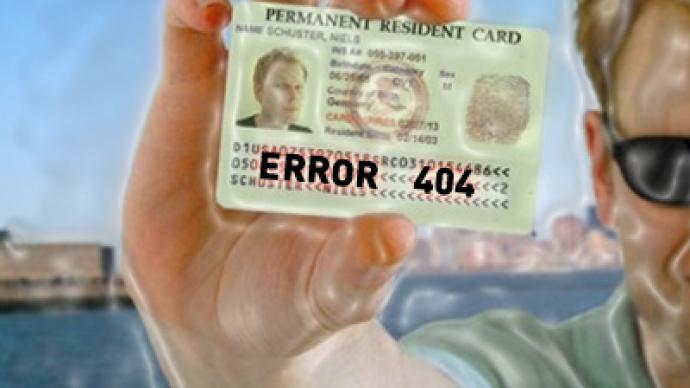 This year the US voided the results of the green card lottery for some 22,000 people. It can be tough getting a green card to live in America, but every year a lucky few thousand randomly hit the jackpot. Or so they thought. A court has ruled the latest lottery list is not arbitrary enough and is tearing up immigrants' invitations. ­Hoping for a better life in America, Ikechukwu from Nigeria applied for the green card lottery. He won. Or so it said in the letter that he received from the State Department. Almost two weeks later, the US voided the results of the lottery for some 22,000 people, including Ikechukwu. “I won a lottery for the first time and the lottery is being taken away from me. It’s heartbreaking,” he told RT. 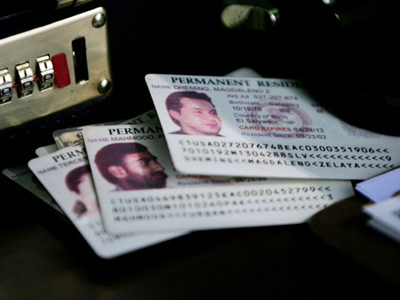 Each year the US State Department grants green cards to some 50,000 people from around the globe. The lottery, where the jackpot is the right to live and work in America, is advertised as completely random. The State Department claims in this case there was a computer glitch and the results were not arbitrary. “A computer programming error caused more than 90 per cent of the selectees to come from the first two days of the registration period,” explained a State Department representative. The victims of the blunder joined in a class action suit against the US State Department, but lost. The court has been struggling with the issue of “randomness”, asking how the results of the green card lottery could not be random, even if there had been a computer glitch, as the State Department claims. One of the arguments is that even an error like that could produce a random result. And the whole idea behind the green card lottery is that whoever you are, whatever you do, you can still win it. But this case could well undermine this perception. Experts specializing in information technology say the decision of the State Department, as well as the court that dismissed the case, defies simple logic. Daragh O’Brien is a member of the International Association on Information and Data Quality, and he says the State Department’s decision comes because they do not understand statistics correctly. “Random means that if all the tracks are on your CD player, and you hit the random button, you may get track three, four and five and then get track twelve. That’s still random,” he said. The State Department has brought up intricate technical arguments to explain the blunder, but thousands of its victims say they have the feeling that someone has gambled with their lives.